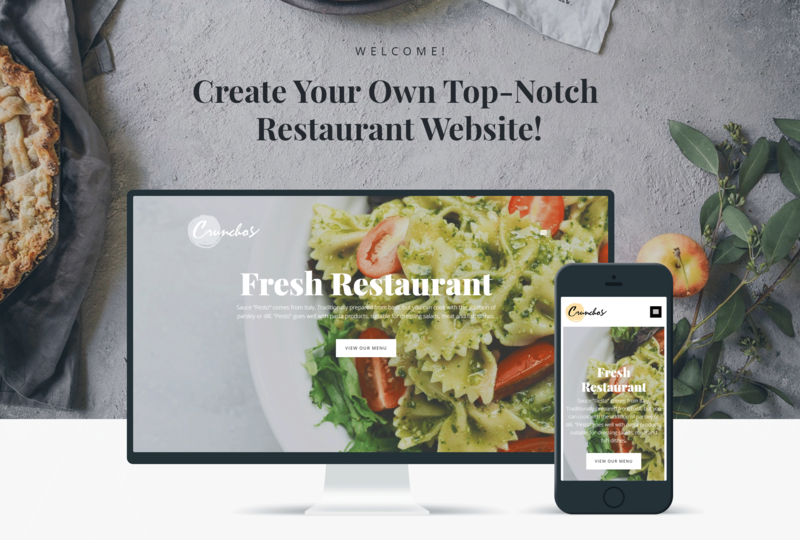 Meet a juicy, ready-to-use Crunchos WordPress theme, which will help you present your restaurant in the most exciting way. 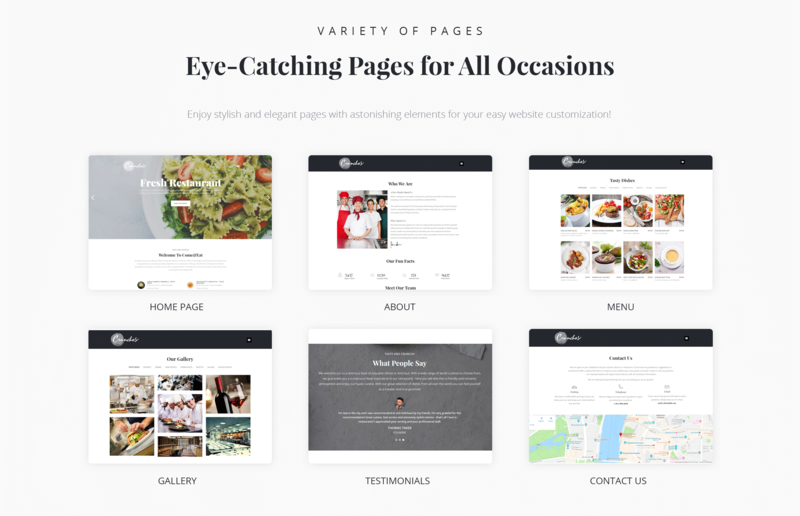 This theme contains Home, About, Menu, Gallery and Contact pages, which you will be able to customize according to your purposes and taste. You will add relevant information about your restaurant, menu, show eye-catching, delightful images of served dishes, testimonials of loyal customers and much more using Crunchos theme. There is a powerful Jet plugins bundle for Elementor page builder. With JetElements plugin you will enrich the content with attractive elements and apply varied style settings to them without any coding knowledge. JetThemeCore plugin will allow creating templates of theme parts and custom headers and footers in a few clicks. You will place the content into compact tabs and accordion blocks using JetTabs plugin. You will highlight the unique features of your restaurant and attract more potential customers using a responsive Crunchos theme.